Home > Fireplaces > Zero Clearance Fireplaces > Empire Breckenridge VFD36FB0L Deluxe Vent-Free Louvered Gas Firebox - 36"
Do you have a masonry fireplace that is not very nice to look at and you want to make a drastic change? 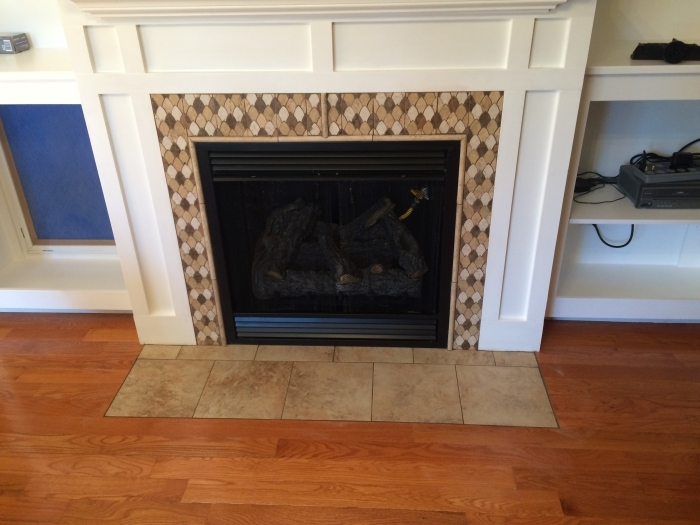 You do not have to completely remodel your existing fireplace. 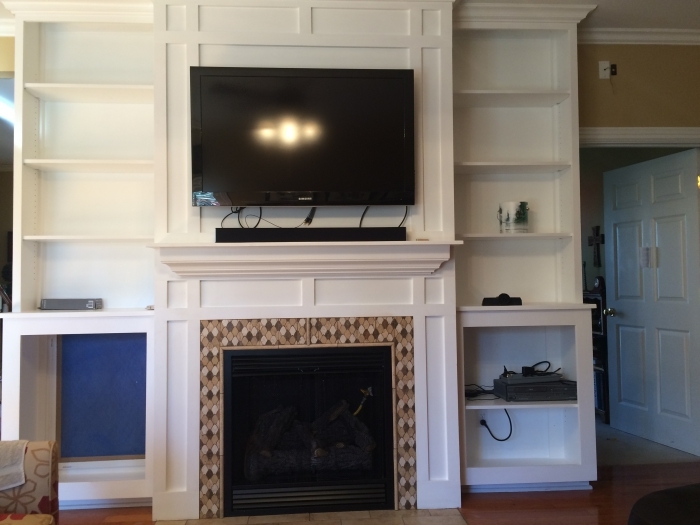 This Breckenridge deluxe louvered gas firebox insert is an easy solution to your problem. It is very inexpensive and you do not even have to have an existing fireplace to use this, although that is possible as well. You can get this insert and choose from a number of frames or mantels that will fit your specific room decor. There is absolutely no ventilation needed. You will need gas logs to use with this 36-inch firebox. The inside area of this firebox measures 36" wide in the front, 29 3/16" wide in the back, 16 1/2" deep and 24" high in the front and 20" high in the back. These dimensions decrease a bit if you add an optional decorative liner, so certain log sets will not fit if you add one of those kits. Does this unit come with all of the mechanicals necessary for gas and electric hook up? This is a full vent-free gas firebox ready for installation in a framed enclosure, but please note there is no burner or log set included with this box. You can use any ventless gas log set that fits inside -- this box takes most 24" sets. As for the electricity, the box has an optional blower fan that must be purchased separately, if desired, and you would need to run the electricity to the framed enclosure for installation. How do the gas logs get oxygen to burn in the fireboxes? On vent free set, from the room they are installed in, unless an outside air kit is installed. Can I get glass doors with this? No they are not an option on this unit. Vent free units, like this one, do not have glass door options as it is the only way the unit gets the required combustion air it needs to burn. How much heat will this product produce and how large of an area will it heat? This is just a firebox. It would require a log set to produce heat. Our property sits at approximately 6800 feet elevation. Will this model perform well at that elevation using propane gas? If you were to purchase and install this firebox and any number of corresponding ventless gas logs that would work with this firebox, the gas log set would likely not perform well. Ventless gas systems will not operate without issue at elevations above 4500'. 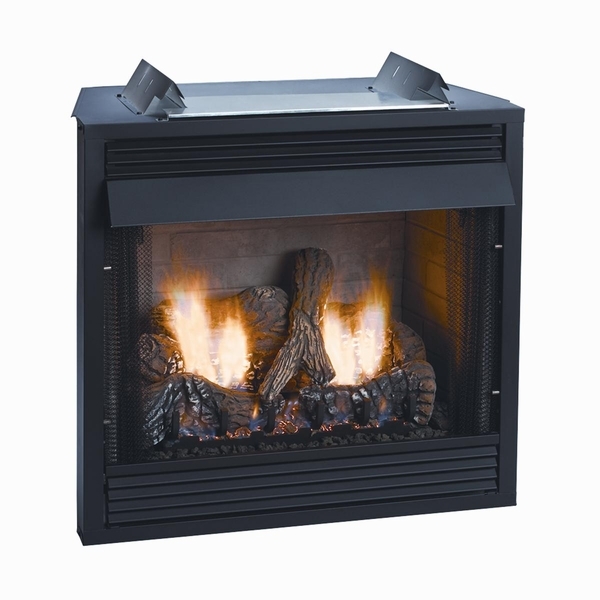 A much better model to consider is the Empire DVD36FP70N Tahoe Deluxe Direct Vent Fireplace. What are the BTUs for this unit? This unit is a firebox, so the BTU's will depend on the log set you install in this unit. What is the shipping weight of this unit? The shipping weight of this item is approximately 120 pounds. Less packaging, the weight is 96 pounds. This unit does not offer glass doors as an option. Because it is vent free, it requires room air for combustion, which glass doors would inhibit. However, there are several styles of operable screen doors in the accessory section for this item. They are able to be added separately to enhance the look of the unit. What comes with this model if no options are selected? This model of firebox will include the black louvers and hood that are shown, but does not include the log set or the brick liner. Does this firebox come with any type of ceramic liner or do you have to purchase separately? This firebox does not come standard with any ceramic liner. Liners are not required. How many btu's does this unit put out & how many square feet does it heat? Does it come with a screen or logs? This unit does not come with a log set or burner, and depending on what kind of log set and burner you would purchase to go with it, the BTUs and heating area would vary. The Breckenridge VFD36FB0L Deluxe Vent-Free Louvered Gas Firebox does come with a screen.